Predator Fly Fishing There are 4 products. Pike fishing continues to be one of the most popular types of fishing for the fly angler. 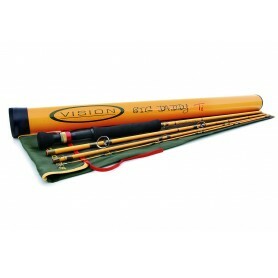 Success can be found with the minimal amount of equipment, to make it easy Vision have introduced a great ready to fish outfit.The medium/fast action makes this rod a delight to use when casting big flies at whatever size of pike you encounter. Our proven Big Daddy range of rods are a great choice for casting the big, air resistant flies so common to pike fishing. Their powerful medium fast action is forgiving and pleasant when casting but they have brutal power for fighting monster size pike. 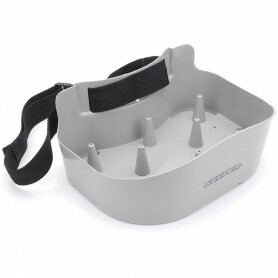 The use of this stripping basket will help you cast further and better control your fly line. 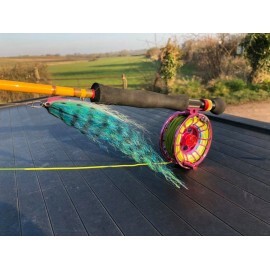 When you are wading the use of stripping basket minimizes the friction from the coils on water surface and basically deletes those otherwise common and irritating situations when your fly line is coiled around a weed or caught to some stick or rock. Originally developed for trophy sized perch hunters in Scandinavia, Abbo (nickname for perch in Swedish) outfit is suitable for general streamer fishing especially with sinking lines. This novel four piece 6-weight Abbo rod has a medium-fast action with matt black blank and black EVA foam handle.